By now, you as a business understand the importance of social media. From reputation management and establishing yourself as an authority in your industry (and everything in between) social media is not just recommended for businesses anymore, it is expected. You recognize the potential business it can bring in and the brand awareness it can generate within your target audience and for that we commend you. When it comes to social media, one of the main KPI’s of success is social following. Social following on a basic level refers to how many people “like” or “follow” your company’s social media profiles. So how do you gain a social following and keep it? Whether you just have started out and want to build a strong following for your brand, or just want to gain more following to reach a larger audience, the following tips are the basis or gaining and sustaining a following on social media. -Know your Audience– One of the most important starting points for any social media strategy is to understand the target audience. Understanding audience demographics, psychographics, social media habits, and ‘needs’ from your audience is essential to build followers. You want to constantly provide your audience with the content they want to see and it catered to them. Once you understand the audience you are targeting, follows and likes will flow more easily. -Strong Foundation & Social Media Strategy– In order to gain followers it is essential to have a strong brand foundation. As a business you must have a firm understanding of your brand inside and out including vision, mission, tone, voice, objectives, strategy, tactics and more. Voice and posting style should always be consistent with the social media strategy implemented. This provides the framework for great content that people will look for when following brands. -Offer Something– Whether you are offering insider looks into your specific industry/company, education and information, or promotions and discounts, your social media should ALWAYS provide your audience with incentive to follow you. Decide what you want to provide consistently. For companies starting from scratch promotions and contests usually do well in generating buzz about social media profiles. -Influencer Outreach– It is essential to determine influencers that can potentially become brand advocates in the future, and then follow and reach out to them on social media. When someone with influence (normally determined by Klout) engages or interacts with your brand on social media profiles, the reach of your post and profile increases exponentially, exposing you to more potential followers. -Link social media profiles to Website, newsletter, etc.- You want to make it as easy as possible for people to follow your brand on social media through links to the profiles on your website, newsletter, blogs, and cross promotion tactics on social media. Don’t make people have to go out of their way to follow you. If the option is constantly in front of them, chances are they will take the bait and check out the profiles eventually. -Post often– …but focus on quality over quantity. As a brand you need to post enough to be helpful, but not too much to the point of annoyance or pointlessness in posting. If you post great content on a regular basis, people will follow. Posting regularly also keeps your brand in people’s timelines, which are constantly being updated with new information. -Proactive Outreach– This is one of the best strategies to gain social following from scratch. Proactive outreach on social media means inserting yourself into conversation, or engaging with potential audience members before they find you. Like influencer outreach, you research relevant topics surrounding your brand (normally in the form of hashtags). Through monitoring hashtags, you can comment and like people’s posts and bring awareness to your brand. -Social Customer Service-Gaining following on social can also be supplemented by social customer service . When your brand is the one reaching out to customers that need help or are starting conversation about your business, you start establishing credibility and trust from online social media users. Social customer service is essential when gaining followers. Each follower should trust that they will be able to reach out and be responded to accordingly by the brand. -Be Current–To gain following on social it is important to make sure that all content posted is current, relevant, and up-to-date to that followers can rely on your brand to give them accurate information. It also needs to “currently” apply to them. -Plan– Planning and scheduling ahead of time is an important way to sustain brand followers because planned content is well thought through, special events and activations are taken in account, and there is more time for monitoring comments and interactions. 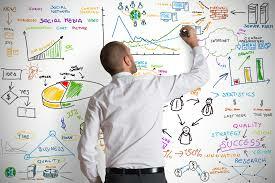 -Measure– It is extremely essential to measure analytics and KPI’s in order to keep followers on social. Without measurement you do not know if ANYTHING is working on social media. Measuring analytics helps determine best days and times to post, insights into audience habits, what your social followers are liking, and what they are not. From this information, you get better at nailing the techniques that keep and grow social media following. -Monitor– Monitoring social media from a social customer service standpoint as well as just from a good business standpoint is essential to keep followers. As a brand you want customers to trust that they can reach out to you, and you will respond in a timely and professional fashion. By monitoring conversation around your brand online, you also are following basic digital PR fundamentals. You want to make sure that any conversations/ interactions that are potentially harmful for your brand are handled immediately, and that you are able to build positive relationships with the publics that can affect your success. -Follow Social Etiquette– DO NOT USE SOCIAL MEDIA CHANNELS TO SHOVE PRODUCTS DOWN YOUR AUDIENCE’S THROATS. Think of social media relationships as actual relationships- “selling” on social does not work. Follow the 80-20 rule as a rule of thumb. 80% of the content that you post should be about the industry you work in, interacting with people, viral videos, informative pieces, etc., and only 20% should be promotional. -Post Relevant Content– If you don’t post the content that your audience wants to see, they won’t keep following you. When it comes to posting relevant content it needs to be timely- however, make sure that the content is politically correct. Do not offend others if at all possible. -Know the Platform– Optimize and adjust tone accordingly for each different platform. Twitter’s tone varies from Facebook’s which also varies from Google +. Know the audience goals of being on that platform and use that to your advantage when you post. At the end of the day, gaining a strong social following is important, but as a brand you also want to be focusing on gaining quality followers. You don’t just want the fluff followers; you want to create legitimate relationships to better your business. You want the quality audience that represents your company’s target audience. As CEO of SayItSocial Ty Downing repeatedly says, “Talk + Trust = Transaction.” Creating a strong social media strategy and posting substantial content will eventually lead to trust and transaction, whatever that transaction may quantify to be. Contact us today about creating your businesses custom social media strategy, and let us do the hard stuff.